CROS NT’s Chairman, Paolo Morelli, and biostatistician, Marco Pannacci, are co-authors on a recent paper published in the The Lancet Respiratory Medicine featuring the results of a moderate asthma clinical trial sponsored by the Italian Medicines Agency (AIFA). The full article can be found at http://www.thelancet.com/journal/lanres/issue/current in the Lancet’s most recent issue. Paolo Morelli, given his statistical experience and background in clinical research, provided expert methodological input in the planning of Study Design, Protocol Writing, Sample Size Calculation and reviewing all statistical topics of the study. Marco Pannacci worked as lead biostatistician on the study, planning and writing the Statistical Analysis Plan and Data Review Report, providing his support and his statistical view during the programming phase and performing statistical reviews of the final results. Marco collaborated with the main study Investigators, further expanding his experience and knowledge in the area of respiratory diseases. The non-inferiority, randomized, double-blind clinical study screened a total of 1,010 patients between April 2009 and March 2012 with moderate persistent asthma and monitored whether a combination treatment administered “as needed” was as effective as regular treatment using the same maintenance and reliever therapy (SMART). This study was unique in that “no previous study has investigated whether moderate asthmatics can be just as well controlled by a symptom-driven inhaled corticosteroid and long-acting beta2 agonist combination therapy in the absence of regular maintenance treatment”. The data for the study were collected by clinical investigators and analyzed by CROS NT statisticians. The statistical analysis consisted of Kaplan-Meier estimates to assess the time to treatment failure and the probability of patients with no treatment failure at 1 year. Cox proportional hazards regression model was also used to analyze time to treatment failure. The proportional hazards assumption was assessed by using both the curves of log(–log[survival]) versus log of survival time and with the correlation of the scaled Schoenfeld residuals on functions of time. The primary endpoint, which was time to first treatment failure measured after 1 year, was assessed in both the intention-to-treat and per-protocol population. 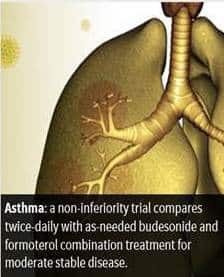 Asthma is one of the largest indications being researched in respiratory clinical trials given that around 300 million people suffer from some form of asthma worldwide. There is also a rising demand for prescription devices such as inhalers and nasal sprays for asthma treatment. 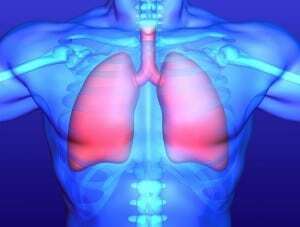 CROS NT has over 20 years of experience in conducting respiratory clinical trials and has performed over 100 trials in Phases I-IV resulting in over 50,000 patients managed in indications such as asthma, COPD, Pulmonary Cystic fibrosis, pneumonia and respiratory allergies. Our biostatisticians and data managers are well-experienced in projects involving the integration of electronic devices with EDC systems. Our solution of implementing a Spirometric device with an EDC system to record health measures and diary data has been fully validated and used in respiratory trials.